In time for Valentine’s Day, the unbashful message of LOVE now stands at Aventura Mall. 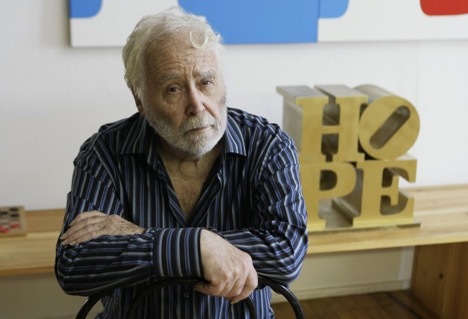 The best shopping mall in Miami joins other cities around the world from New York City and Philadelphia — home of the famous LOVE Park — to Tokyo and Singapore that celebrate the work of Robert Indiana, a towering figure in the American Pop art movement who passed away last year. His LOVE sculpture became one of the most reproduced works of art of the Modern era. The famed installation has also been translated into Spanish, Hebrew and other languages, and its omnipresent message is imprinted in our collective consciousness. It is also a major addition to the growing portfolio of world-class art on view at Aventura Mall. Indiana’s two-row rendering of the word, with its tilted “O,” became one of the most recognizable works of modern art in the world. The famous design emerged from deep influences in Indiana’s life, from his early exposure to religion to his father’s career. Indiana’s 1966 masterpiece originally began as a Christmas card, morphing into a painting and eventually into sculpture. Indiana would spend the rest of his life turning it into sculptures, stamps and even adapting it to Hope to support Barack Obama. 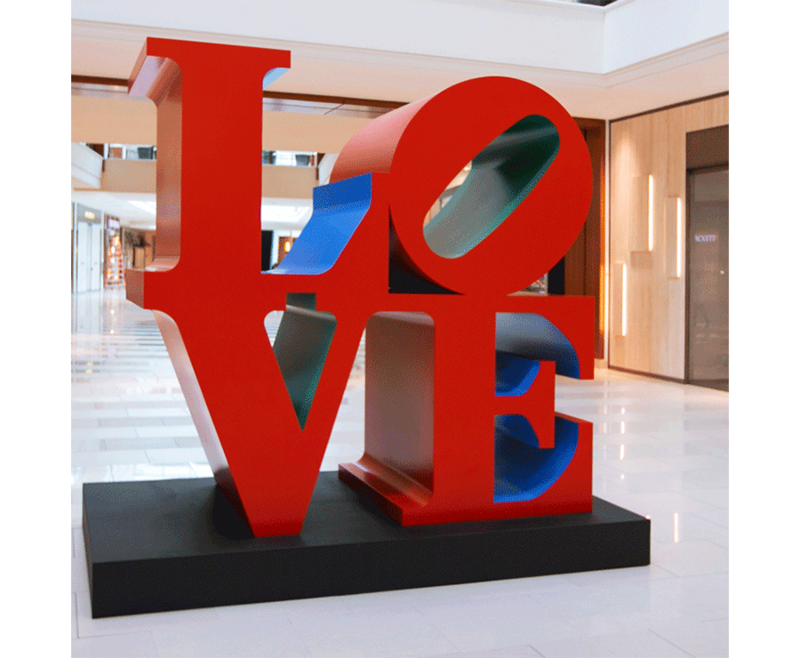 To major benefit of Aventura Mall fans, who have come to appreciate the center for its dedication to arts, LOVE is a latest addition to The Collection. This world-class assortment incorporates a range of mediums that include sculptures and installations by renowned international as well as local Miami artists sprinkled throughout the center. To fully appreciate not only Indiana’s work, sign up for The Collection: Arts Aventura Mall Guided Tours. Take our word for it. You will LOVE it.